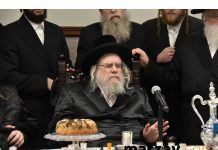 Monday evening, Rav Chaim Kanievsky, from his hospital room, joined other gedolei Torah in calling on the public to daven for the rosh yeshiva of Ponovezh Yeshiva, Rav Chaim Shlomo Leibowitz, who is hospitalized in serious condition. Rav Leibowitz is at Sheba Medical Center in Tel Hashomer, where he is sedated. 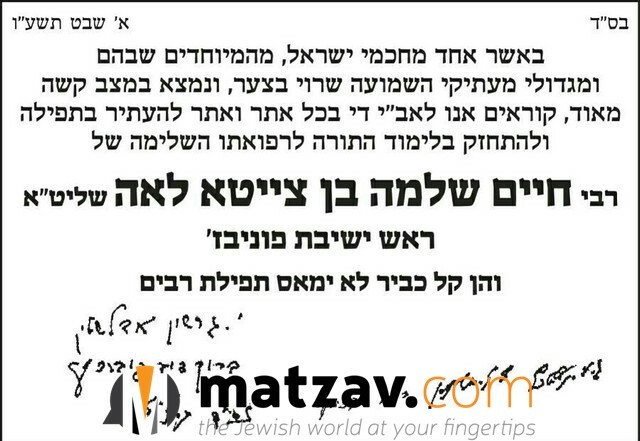 The letter, seen below, is also signed by Rav Nissim Karelitz, Rav Gershon Edelstein and Rav Berel Povarsky. 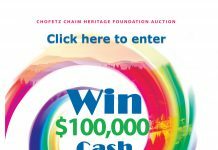 All are asked to daven for Rav Chaim Shlomo ben Tzaita Leah. 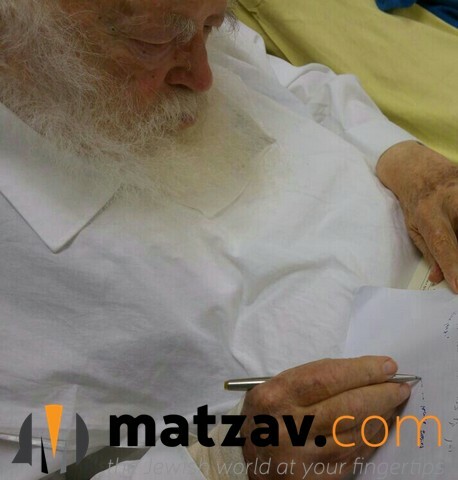 As far as Rav Chaim’s own condition, Rav Chaim is remaining at Maayanei HaYeshua Medical Center in Bnei Brak overnight. There has been improvement in his condition, but his doctors wish to keep him under observation. All are asked to daven for Rav Shmaryahu Yosef Chaim ben Pesha Miriam.